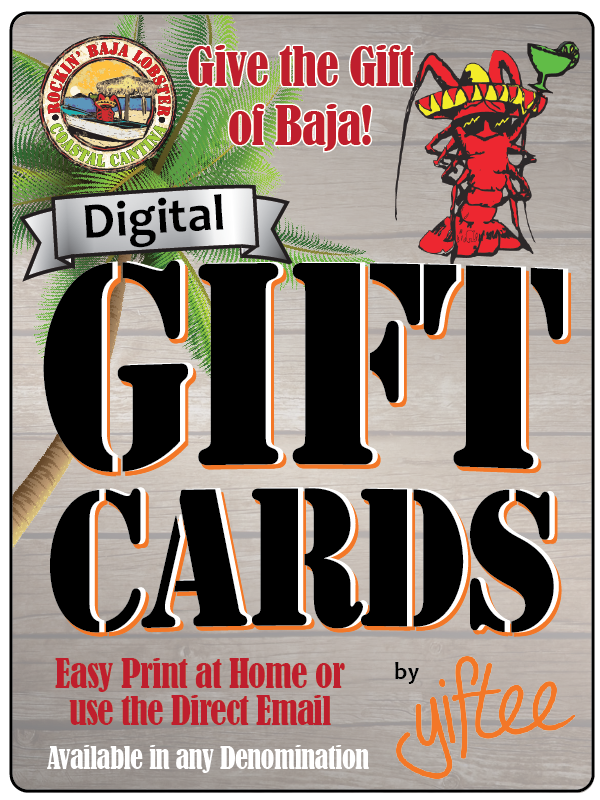 Make Gift Giving easier for yourself with e-gift cards! They’re safe, quick & easy. Print them up quickly at Home or Email them direct. These e-gift cards include tracking, so even if the recipients don’t reply, You’ll know when they receive it & when they use it! Copyright Rockin' Baja Lobster ©2019. All Rights Reserved.